5 years and 5 million downloads later we are the best office app for editing documents on the App Store. OfficeSuite lets you easily create, view and edit Word, Excel, and PowerPoint documents, and perform advanced PDF operations. Get all of this, combined with a File and Cloud storage manager in one complete application. OfficeSuite offers an auto-renewable yearly subscription for $29.99 per year. The price corresponds to the same price segment, which is set in the "Apple's App Store Matrix" for other currencies. • Your free trial subscription will automatically renew to a paid subscription unless auto-renew is turned off at least 24 hours before the end of the free trial period. • Any unused portion of a free trial period (if offered) will be forfeited when you purchase a premium subscription. • You can cancel a free trial or subscription anytime by turning off auto-renewal through your iTunes account settings. This must be done 24 hours before the end of a free trial or subscription period to avoid being charged. The cancellation will take effect the day after the last day of the current subscription period, and you will be downgraded to the free service. Visual Redesigns - We decided some spring cleaning was in order and spruced up the UI/UX a bit. The navigation tab on iPad has been centered for better visibility, while the File Properties & Rename have been moved and are now their own separate options. New color picker in Documents & PDF - Vivid & colorful documents are beautiful to us, so we decided to make it easier for you to create them. The new color picker available in Documents and PDF brings a greater level of comfort of use and visual polish, and will be coming soon to Slides and Sheets as well. Repeat & Duplicate - Don't lose time doing the same thing over and over, there's an option for that now. Duplicate Pages in PDF and Repeat Command in Slides will allow you to to do more in less time. deleted half of my copy and no one at Mobi has gotten back to me with an explanation as to what happened and who within Mobi had made the unauthorized alteration. There is no working customer service contact phone number so it’s impossible to speak with anyone at Mobi. I LOST HALF OF MY COPY AND NO ONE SEEMS TO CARE!!! This app is not user friendly and the customer service for any help is non existent. This app works great but I am disappointed by the forced up sell to the paid edition. Without paying, the basic app really does nothing. I think it would be professional of the developer to say, up front, that if the user want to convert a odt zipped file to a readable version on iOS, you need to pay. NOT COOL, people. Non the less, I needed the conversion so I agreed to the upgrade, for now. But I’m not sure I’ll keep it beyond the 7 day trial... Have some guts, developer and contact me to discuss. Will this happen? Probably not. As we do care, we answer here, also. We believe we are able to identify one issue in our support system from you. In order to investigate it, we need a sample file which illustrates the problem and more details. We have a team of developers who can investigate what might have gone wrong. Also, please share why you believe that the Free version of the app is not very useful? Compared to other apps we offer much more functionality for FREE to our users. Hello AILeeShaw, please contact us via email at: ios-helpdesk@mobisystems.com. We apologize for any inconvenience and are sorry you are experiencing a problem. Please include as many details about the issue, as possible and attach a screenshot(s) if applicable when you contact us. Thank you! WAY better than Documents to Go!! For years I've been looking for an app better than documents to go. An app that works smoothly, opens all my files with their various settings and options, and didn't have that annoying upload wheel every three seconds. This is the app that finally set me free from documents to go! Office suite is cleaner, prettier, and works much faster. 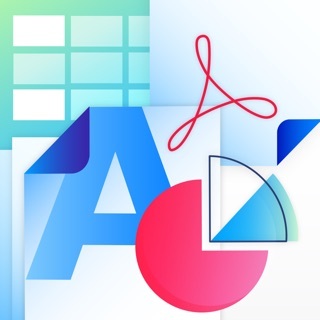 I compared it to the native MS excel and word and there's no comparison. It is more functional, familiar, and intuitive than MS's own apps! So impressed I bought the paid pro version after 10 minutes of use. Wrote this review after a week. No problems at all, and I use a lot of complicated spreadsheets too (conditional formatting, averages, countA, sumif, and so on). Тhank you very much for your detailed comment! We appreciate it! I am sorry to rate this app with 1 star, but the ads are driving me crazy. I bought the pro version so that I would not have to be bothered with ads and now all of the sudden it is not supported in the Apple store. In order to get rid of the ads, it seems I have to upgrade and pay more money. Since I have already paid for OfficeSuite Pro, I do not feel that I should have to pay again. So if I am forced to pay more money, I will be switching to the Microsoft Word. Would like to hear from the developers or another user to see if there is an option to use OfficeSuite (1) without the ads and (2) without paying more money. If those options exist, I will gladly upgrade my review. As a matter of information, I am signed in to my account. Dear RogersChild, unfortunately due to App Store changes we will stop supporting OfficeSuite Pro. Your purchase of the product, however, remains valid. All you need to do is to migrate to our other product through the in-app dialog, create an account and you will enjoy the same level of features as you have so far. You do not need to switch to the subscription model. For further assistance, please contact us at: ios-helpdesk@mobisystems.com Thank you! Oxford American Dict. & Thes.